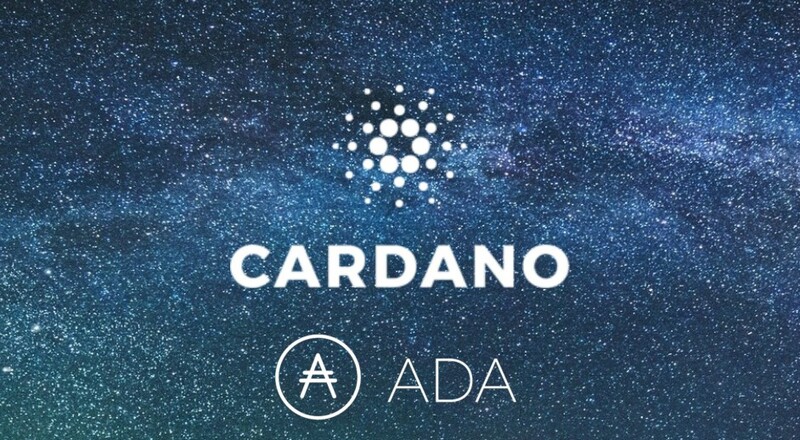 You can buy Cardano (ADA) on exchanges around the world. The easiest and seemingly most secure for US users would be Binance, with Coinbase stating they are considering adding Cardano. Cardano is a smart contract platform, similar to Ethereum, with a focus on security through a layered architecture. The self-described “third generation blockchain” is the first of its kind to be created from scientific philosophy and built on peer-reviewed academic research. The team behind Cardano is creating it with both the end-user and regulators in mind. They’re attempting to find a middle ground that balances the need for regulation with the privacy and decentralization principles at the core of blockchain technology. The platform also uniquely uses Haskell, a programming language with a high degree of fault tolerance. With the relatively unknown future and complexity of blockchain-based systems, it’s important to build flexibility into projects. It’s near impossible to know what a system may have in months or even years, so it’s important to have a robust language like Haskell which allows for a certain margin of error. Unlike some other crypto projects, the goal of the Cardano team isn’t to overhaul the entire financial system. Their aim is to use blockchain technology to bring banking systems to places where they’ve previously been too expensive to implement – specifically the developing world. Cardano is being developed in two layers that separate the ledger of account values from the reason why values are moved from one account to the other. This separation enables the smart contracts on the platform to be more flexible. It also provides businesses the opportunity to tailor the design, privacy, and execution of each contract to more perfectly fit their specific use-cases. The Cardano Settlement Layer (CSL) acts as the balance ledger and is the first layer of the platform. Created as an improvement to Bitcoin, this layer acts as a cryptocurrency built from the whitepaper Ouroboros: A Provably Secure Proof of Stake Blockchain Protocol by Aggelos Kiayias. The Cardano Computation Layer (CCL) is the second layer of the Cardano platform and contains the information on why transactions occur. It’s within this layer that the Cardano smart contracts run. Because the computation layer is detached from the CSL, different users of the CCL can create different rules when evaluating transactions. For example, you could create a permissioned ledger that leaves out any transactions that don’t include AML/KYC data – something that will become more important as blockchain regulation continues to increase. The Cardano team is creating a new programming language to use to develop smart contracts on the CCL – Plutus. The CCL also support Solidity, the language behind Ethereum smart contracts, for low assurance applications on the platform. To help developers, Cardano also includes a reference library of Plutus code that’s available to use in dapps. Beyond that, the team is creating a set of tools for the purpose of verifying code and improving code assurance. Cardano supports sidechains based on a new protocol by Kiayias, Miller, and Zindros (KMZ) involving proofs of proofs of work. The KMZ sidechain protocol allows funds to move securely from the CSL to any CCL or any blockchain that also uses the protocol. With this protocol, ledgers with certain regulatory compliances are able to interact with the CSL without having to share the data that needs to remain private. Daedalus is an open-source wallet created by the Cardano team. It’s a multi-currency wallet in which you can freely exchange between the supported currencies. The wallet is beginning the expansion of support with Bitcoin and Ethereum Classic. The wallet also includes an app store containing applications built by the Daedalus community. You can currently download the wallet on Windows and MacOS operating systems. The Cardano team has set that there’ll be a maximum of 45 billion ADA coins that will ever be created. New coins enter the ecosystem and nodes validate transactions through a unique consensus algorithm, Ouroboros Proof-of-Stake (PoS). In this protocol, slot leaders generate new blocks in the blockchain and verify the transactions. Anyone holding a Cardano ADA coin can become a slot leader. When the “Follow the Satoshi” algorithm selects a coin that you hold, you become a slot leader and publish new blocks to the network. Your node automatically does this process, so you don’t have to worry about manually verifying each transaction. transfer fee = a + b * size. This effectively means that the minimum transaction fee you’ll pay is 0.155381 ADA and will increase by 0.000043946 ADA with each byte increase of your transaction size. The transaction fees of each epoch are collected in a pool and distributed amongst the appropriate slot leaders. An epoch is simply a period of time in which slot leaders validate transactions. When one epoch ends, the next one immediately starts. Other than to slot leaders, a portion of each block reward also goes towards a treasury. If you’d like to receive funding to contribute to the Cardano ecosystem, you need to apply for a grant through the Treasury. Stakeholders then vote whether or not your grant is approved, giving you the funding. The goal with the Treasury is to create a self-sustaining ecosystem that continues to grow long after IOHK is finished with the project. Cardano shares many of its roots with Ethereum. The project’s two founders, Charles Hoskinson and Jeremy Wood, were instrumental to the early days of Ethereum in 2013. After leaving Ethereum, they joined forces in 2015 to create Input Output Hong Kong (IOHK), one of the companies behind Cardano. The Cardano Foundation is a non-profit that acts as the custodial agent of the project. Its goal is to support and grow the Cardano ecosystem. IOHK is a blockchain engineering company focused on building the actual project. And, Emurgo is blockchain project incubator that provides much of the funding. The team raised around $63 million during their almost two-year long ICO. Byron – This is the phase the Cardano is currently in. It includes the initial development of the main net and complementary functionality such as the Daedalus wallet. Everything scheduled for this phase is built, and the team is in the process of making improvements. Shelley – In this phase, the network becomes fully decentralized. Features here include delegation and stake pool test nets. Goguen – The team is in process of planning this phase. At this point in the roadmap, Cardano will have a virtual machine, called IELE, similar to the Ethereum Virtual Machine (EVM). The platform will also have a universal language framework for future blockchain technology. Basho – The team plans to improve scalability, security, and performance in this phase. They’ll also implement Ouroboros Praos, an improvement to the original Ouroboros protocol. Voltaire – In the final phase, Cardano will implement the Treasury model, providing a self-sustaining ecosystem for the network. As a smart contract platform, Cardano is competing with several similar crypto projects – most notably Ethereum. The project is also in competition with several newer projects focusing on smart contract development such as EOS, Lisk, NEO, and NEM. Out of these additional competitors, Cardano is the second-largest behind EOS. As mentioned before, the team is attempting to separate themselves by focusing on scalability through peer-reviewed research and highly-secure coding practices. Although this strategy does lead to slower product development, it greatly reduces the risk of critical bugs and showstopping errors. Cardano had a lengthy ICO from September 2015 through January 2017, and the ADA token began trading on the open market in October 2017. ADA’s price remained relatively stable until the end of November 2017 when it jumped from ~$0.03 (0.00000345 BTC) to ~$0.14 (0.0000142 BTC) in 3 days. That’s an increase of over 360%. ADA reached an all-time high of $1.15 (~0.000077 BTC) at the beginning of January 2018 but has since followed the rest of the cryptocurrency market to the bottom. It had a spike in April 2018, seemingly caused by the increasing number of exchanges listing ADA as well as the release of the roadmap. Unfortunately, those types of announcements most likely won’t have an effect on the price of the coin moving forward. The biggest positive influencers on the price from now on will probably be partnership announcements, roadmap achievements, and increased use of the network. You can purchase ADA on several major exchange platforms. Binance has the highest ADA trading volume of the exchanges and offers the coin as a trading pair with Bitcoin and Ethereum. To buy ADA on most platforms, you’ll first need to purchase Bitcoin or Ethereum on another platform and transfer it over. GDAX and Gemini are good choices to start this process. ADA will also be available for purchase through a network of ATM machines in Japan soon. There are no ATMs are available yet, however, and no timeline has been given. In order to receive the reward from staking, you’ll most likely need to store your ADA in a wallet off of an exchange. Right now, there’s only one wallet where you can store your ADA – the official Daedalus wallet. The wallet is currently only available on Mac and Windows (sorry Linux users), but a mobile wallet on Android and iOS is estimated to be released soon. Ledger is working with a third-party to build ADA support into their products. It should be ready with the implementation of the Shelley phase. Cardano is an ambitious project tackling a large number of problems in the crypto industry. After seeing the potential security flaws of Ethereum through the DAO hack and recent Parity wallet fiasco, it’s nice to see that Cardano has a focus on code scrutiny and peer-reviewed security measures. This does come at a cost, however. With such an emphasis on security, don’t expect quick product updates. Instead, you should view this as a long-term project with a lot of potential.